SCBWI GERMANY + AUSTRIA: Winner Announcement of our "Hast Du den Troll gesehen" - Giveaway! Winner Announcement of our "Hast Du den Troll gesehen" - Giveaway! It is time to announce a winner again! Thanks to all of you entering the giveaway! The winner has been randomly chosen and it is .... Catherine Friess!!!! 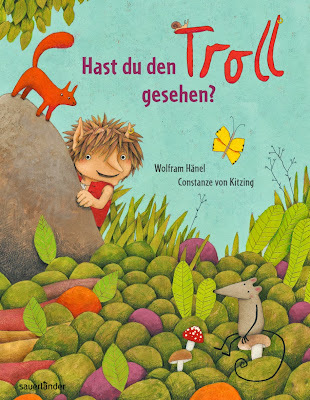 Yay, Catherine, get in touch, so we can post you your signed copy of Constanze von Kitzing's beautiful book "Hast Du den Troll gesehen”! Thank you - how exciting!